Let’s get things straight: a cooling mattress topper isn’t the same thing as any other mattress topper. The cooling one has a different structure as it’s build the complete the most important purpose: keep you cool and fresh in the summertime or to maintain a nice temperature if your body heats up too much. 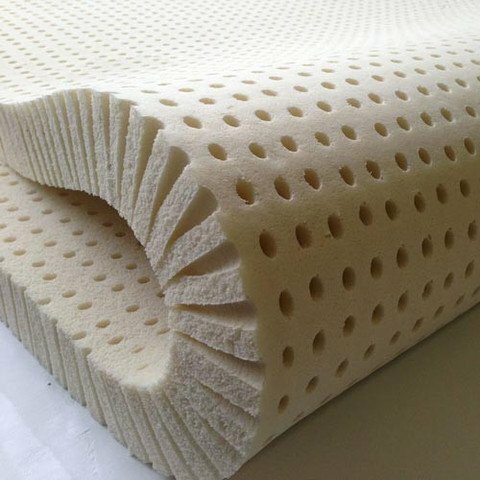 Typically, a cooling mattress topper is made with aerated materials or gel infused memory foam with multiple open cells that regulate the temperature (they simply transfer the excessive heat to the air). How a mattress topper is build is also very important when it comes to its cooling abilities. The cells in a cooling mattress topper are able to draw in the excessive heat and transfer it into the air, thanks to the open cell build. 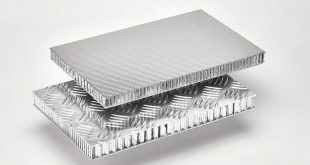 So one can say a cooling mattress topper is built as a heat tank that soaks in the heat and transfer it into the surroundings. The components of the cooling mattress topper also have say on its efficiency on keeping you fresh and cool. Either it’s the gel infused cell components or the fan attached to it, there are some specific details that make a cooling mattress topper work. If you sit on the fence and don’t know if you should get a cooling mattress topper, don’t. A mattress topper with cooling abilities not only keeps you cool and dry, but also regulates the overall bed temperature. No more tossing and turning because of the sweat, but only nice, continuous sleep. In addition, we all like to wake up in the morning well rested and fresh, don’t we? The best thing about market developing so fast nowadays is the fact you can find good products without paying an arm and a leg for it. Sure, a lower priced mattress topper may not pass the durability test (or present other minor flaws), but it may satisfy your needs for a while, to say the least. 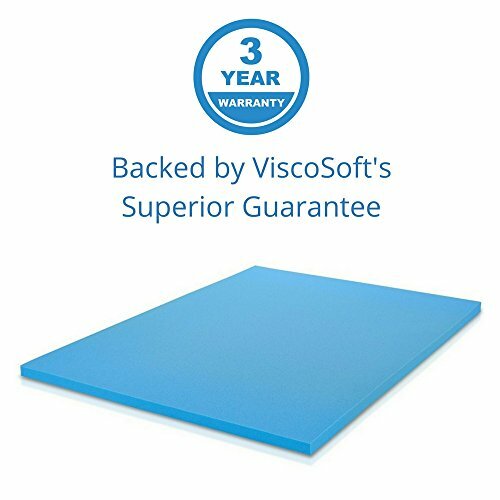 The ViscoSoft 2-Inch Thick Gel Infused Memory Foam Full Mattress Topper falls into this category and a quick look may give you an idea about its efficiency and pretty decent quality. The mattress topper is made with two inches of gel memory foam that may transform entirely your too firm mattress. 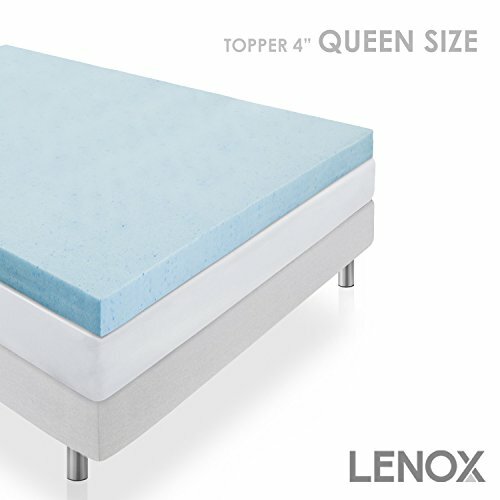 The topper is efficient for pressure relieving comfort and minimizes any pains during your sleep. The memory foam takes the shape of your body so it eliminates pressure points, aligning your spine at the same time. Its special gel formula makes the topper breathable, responsive and comfortable. 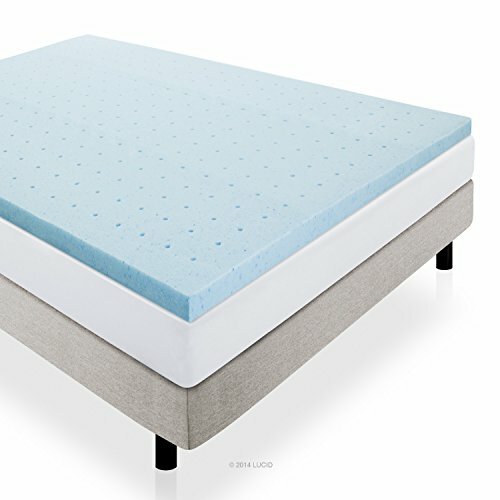 The topper presents in fact 3-pound density memory foam that is not only soft, but also airy and responsive. The airflow is improved and you don’t just get a cooler sleep, but also a more comfortable one as the topper absorbs your partner’s movement. The gel material traps in heat and controls the temperature, helping you remain fresh and cool in your sleep. The mattress topper maintains its shape for a good amount of time and serves you good for quite some time. Unlike many memory foam mattress toppers, the topper wears only a subtle specific smell. It’s easy to use and runs true to size. All in all, for a very low price, you get a pretty efficient mattress topper that keeps you comfortable and cool in your sleep. If you ever get over a gel infused memory foam mattress topper, the chances for it to be cooling are quite big. Moreover, if the memory foam is also ventilated, you got yourself a winner. Add a reasonable price and you get home with a brand new mattress topper that is ready to give you the cooling sleep you’ve dreamed for such a long time. TheLucid 2″ Gel Infused Ventilated Memory Foam Mattress Topper sure fits the description and becomes a reliable option for many of use. The topper is made with 2-inch gel infused memory foam that traps and distributes heat, improving airflow. It also regulates the temperature in you sleep, increasing comfort. The open-cell technology used on the mattress topper doesn’t allow lasting body impressions so the topper keeps its shape for a good amount of time. We like the mattress topper, as it’s soft and supportive at the same time, with pretty decent resiliency. It conforms to your body weight and shape and doesn’t sink in. it relieves back, neck and shoulder pain since it minimizes pressure points. 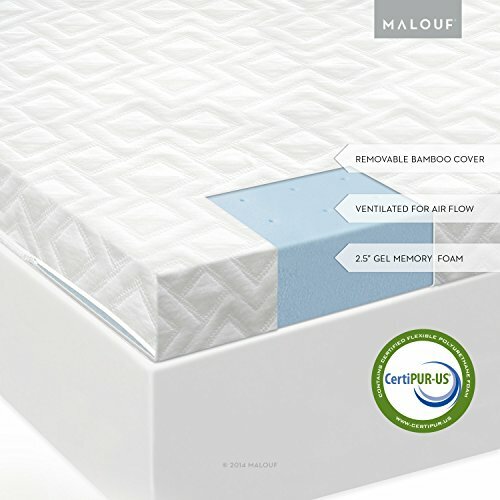 The mattress topper is made with CertiPur-US certified memory foam so it’s tested for indoor emissions and environmental Stewardship. It has no synthetic nor natural latex either. It’s safe and its scent wears out eventually. The mattress topper is easy to unpack and to use. All things considered, since it keeps you cool and comfortable, pain-free during the night. The cooling abilities of the Bamboo Mattress Pad with Fitted Skirt – Extra Plush Cooling Topper come from its composition, more than anything else. The mattress topper comes with a bamboo cover filled with hypoallergenic down alternative. So not only the topper keeps you nice and cool, but also puts your allergies under control, becoming a great option for anyone fighting asthma, allergies, for the kids or someone with pets. The backing of the topper is made of 50% cotton and 50% polyester. The composition of the skirt includes 8% spandex, 16% nylon and 76% polyester so the topper is efficient and lightweight altogether. Revoloft, a fiberfill with the feel of real goose duck down (minus the allergenic factor), fills every pad on the topper. This is why you feel the topper smooth and fluffy, with all your pains relieved in just a couple of days. The composition of the topper increases its versatility and you may use it for many types of mattresses, from latex to memory foam or innerspring. The hypoallergenic quality of the topper doesn’t come only from its composition, but also from its cotton cover (160-thread count) with double needle baffle box stitch. So, along with the comfort and the control over your allergies, come the minimal risk for the topper to shift or move around. Let’s not forget the topper is made in our USA, which is always a big plus. The topper is able to control temperature and wears no specific scent. It has a good build; it’s supportive and so nicely padded. It’s not difficult to take care of it and you may wash it in cold water, using front load/high capacity washer. Stay away from softeners and only tumbled dry low. In case you like soft, well-cushioned, breathable and comfortable mattress topper, this is definitely a good choice for you. 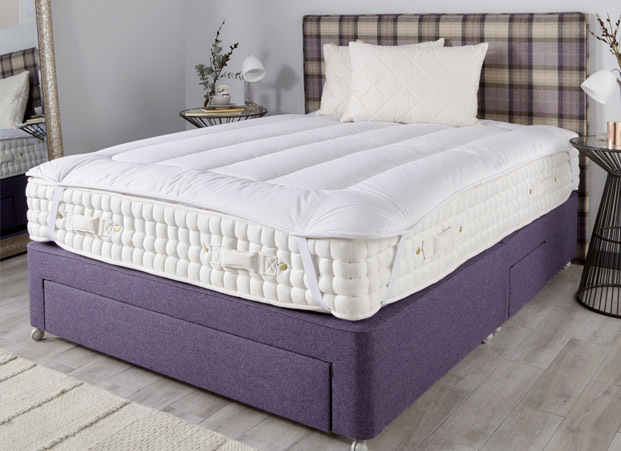 Suffice to say, for the breathability and cooling it brings on your sleep, in a nice, fluffy way, the mattress topper is an option to consider. Even though it’s rather thick, the Memory Foam Mattress Topper Cooling Gel – Queen Size – Memory Foam Topper LENOX keeps you cool and fresh all night long. The mattress topper presents cool gel technology and its gel-infused memory foam traps and distributes evenly heat, keeping it away from your body. The mattress topper is built so that it keeps you cool. 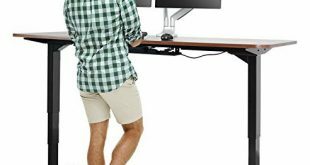 This doesn’t make it any less efficient on support though, as the mattress becomes a firm surface for your body. 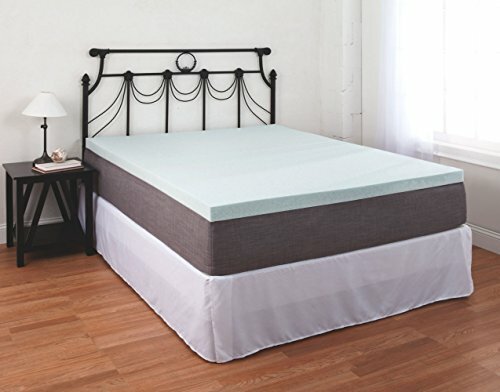 What counts the most on the mattress topper is its breathability that comes from the special design. The topper is made so that heat and humidity stay away from your body, keeping you rest after your sleep. The memory foam use is temperature-sensitive and able to adjust to your body’s temperature, increasing airflow through the foam. The density of the mattress topper is a good thing and helps it eliminate motion transfer from your sleep partner. It disperses evenly your weight and gives a firm, yet soft support. It works on the pressure points also and is a solution for your back pain problems. The mattress topper wears a slight odor that wears out after a while. The topper is thick, comfortable and keeps you cool the entire night. 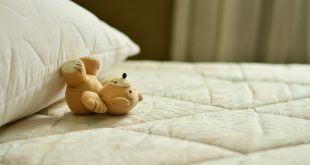 Nevertheless, for keeping you cool at night, while providing nice, firm support, the mattress topper shouldn’t be missed. The Gel Memory Foam Topper 2.5 inch Cooling Gel Infused Memory Foam by Exceptional Sheets doesn’t let down when it comes to giving you a nice, fresh, comfortable sleep for the whole night. The mattress topper is made with 2.5” of 3-pound memory foam that instantly takes the shape of your body, relieving your back pains. The airflow is very efficient on the mattress due to the open cell technology and the infusion of gel beads into the foam. Not only the mattress topper keeps you cool at night, but also lets you remain full asleep all night long. The topper is supportive, with a plush feeling. It relieves pressure points and aligns properly your spine. The gel foam is CertiPur-US certified, so it contains no ozone depletes, no phthalates, and no low emissions. The mattress topper inflates almost instantly and wears no specific scent. 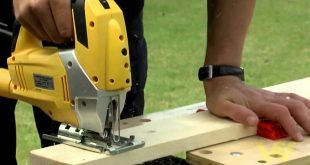 It’s very well made and may be the final detail for your new mattress. Despite the minor issues, there’s no doubt on our part that the mattress topper makes it as a reliable option for cooling your sleep. Some sit on the fence when it comes to the DreamDNA Gel Infused King Size 4 Inch Thick, not being able to decide either it’s a good call or not. Well, that’s not the case for us and we stand by our belief: the mattress topper is a valid choice, anytime. Anytime you feel in need for a good, comfortable, cooling sleep, the mattress topper manages to satisfy your needs and more. 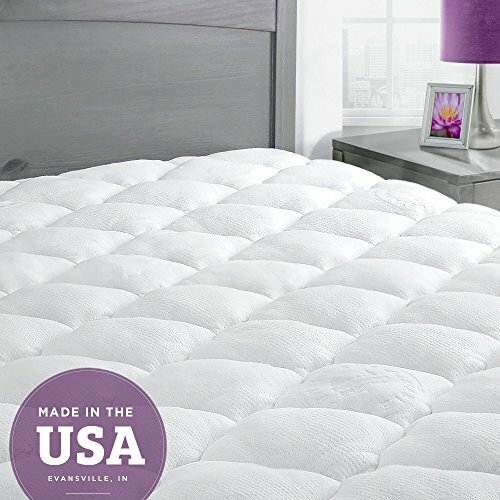 The mattress topper is made with 4 inches of soft gel infused memory foam. It conforms to the shape and weight of your body, providing nice comfort. It minimizes pressure points and you don’t fuss and turn throughout your sleep. The support of the mattress is firm, yet feels so nice and soft. Its special formula helps with temperature control, giving cooling comfort. The topper is made in our USA with environmentally friendly processes and it’s PurGreen Certified. 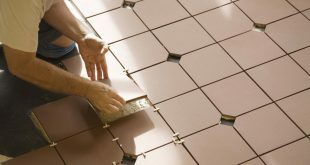 This means it meets all the standards on safety and that is free of harmful chemicals. All in all, we like it since it’s keeping you cool, nice, comfortable for a long time and you just need not to focus on the minor drawbacks. Comfortable and keeping you fresh and cool in your sleep, the Iso-Cool Memory Foam Mattress Topper with Outlast Cover is so much more than a cooling mattress topper. The topper is 3-inch thick and contains temperature sensitive memory foam, keeping your fresh until the morning. The topper is well cushioned and comfortable, taking care of any back pains. It really gives a new vibe to your old mattress, eliminating tossing and turning. Another great part of the topper comes from its cover. The Outlast Adaptive Comfort technology of the cover controls your changing body temperature, increasing your comfort. It’s able to absorb your body heat and to cool you, at the same time. The cover is also hypoallergenic and easy to wash in your washing machine. It protects your mattress topper and increases its life span. The list of features on the topper also includes these ones: SleepBetter, Iso-Cool, and Rich-Loft. They all relate to the cooling abilities and the comfort the topper gives you all night long. Made in our USA, the topper doesn’t need too many hours to fully expand. All things considered, we think the mattress topper is a reliable option that cools you during your sleep, in a comfortable way. Just because you don’t have the money to change your old mattress, doesn’t mean you can’t win it some time with a good, efficient mattress topper like the Memory Foam Mattress Topper by LuxurestLLC. The mattress topper is made with memory foam and is able to make a great change to the good for an old mattress or to be the final detail for a new, firm one. The 4-inch of cooling gel infused memory foam isn’t just dense, but also so efficient on keeping you fresh and cool the whole night. The comfort isn’t minimized at all and the topper not only makes you feel cozy in your sleep, but also works on various pain. Joint pain, back pain, arthritis pain- no matter the type, the mattress topper eases up the pain and helps you get a better sleep. It offers an efficient support and distributes evenly your body weight. The cover of the topper is 300-thread count and increase its breathability. The cover protects the mattress topper, expanding its life span. It’s machine washable, which is so convenient for anyone. Last, but not least, the topper is made in our USA. Happy now? All things considered, the mattress topper is a dependable option when wanting a cooling, alleviating pain topper. When you get a gel infused memory foam mattress topper, chances are you get a more breathable and efficient on cooling topper. It’s also the case of Isolus 2.5 Inch Ventilated Gel Memory Foam Mattress Topper that doesn’t really surprise with its ability to keep you fresh and cool throughout the entire night. The topper is ventilated, so there’s better airflow and a more efficient control over your sleeping temperature. 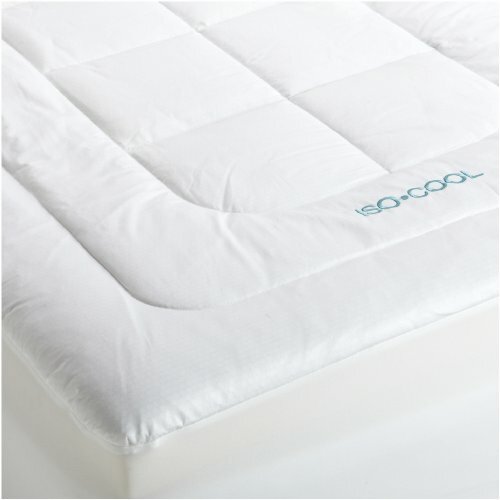 The mattress topper presents in fact a triple cooling combination: the open-cell construction and ventilation, the gel infused topper and the Isolus Formula provide great comfort, pressure relief, cooling you at the same time. The foam takes the shape of your body and takes good care of the pressure points in shoulders in hips. Your spine gets aligned and the pains are diminished. Even though the topper is rather denser than expected, it’s quite soft and cozy. We have to mention the soft bamboo cover that is also hypoallergenic and mildew proof. Breathable, the cover is easy to remove for cleaning. The 2.5” topper is CertiPur Certified so it’s safe to use, naturally hypoallergenic with low indoor emissions. The topper distributes evenly heat and wicks heat away. It only needs an hour to fully expand and makes a great addition to any stiff mattress. Nevertheless, for its cooling abilities and efficiency on shoulder and hip pains, the mattress topper is a nice option to keep in mind. Do you want a mattress topper that cools you or you want it to be also natural? Get both with the Pure Green 100% Natural Latex Mattress Topper – Firm – 3″ King Size that not only provides a nice, cooling comfort, but it’s also made with natural ingredients. The mattress topper is actually made with 100% Natural Latex and contains no synthetic latex nor fillers of any kind. This brings us to the next great feature of the mattress topper: it keeps your allergies under control. 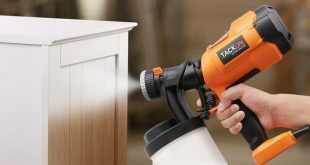 The Latex foam is in fact hypoallergenic, anti-microbial, and dust mite resistant. There’s no need for special technologies to improve the cooling abilities of natural latex. Natural Latex is like this by its nature and stays cool for long time. 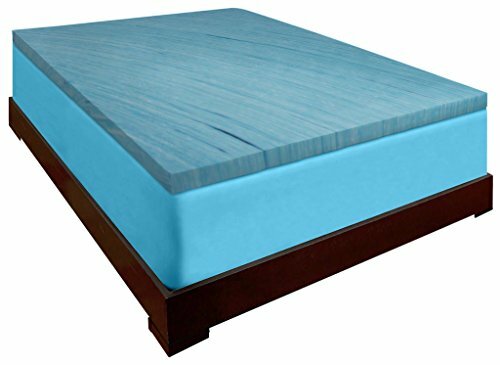 The topper brings also and a very firm support (its firmness is rated at 44ILD) so it’s a great choice if firm surface for your sleep is what you like the most. The latex is also resilient and with great elasticity. Therefore, the mattress topper comes back to its original shape over and over again. Additionally, it absorbs the movement of your sleep partner so nobody disturbs anybody anymore (not in their sleep, anyway). As for the hip, back or leg pains- you can sure forget about them. The mattress topper alleviates all kinds of pain and increases your comfort, in a cool way. Last, but not least, the mattress topper is durable and versatile, making it as a great choice for any sleep position. We disregard the minor cons when we get to the conclusion though. In addition, our conclusion is, if you want a natural cooling mattress topper, this one is a great investment.